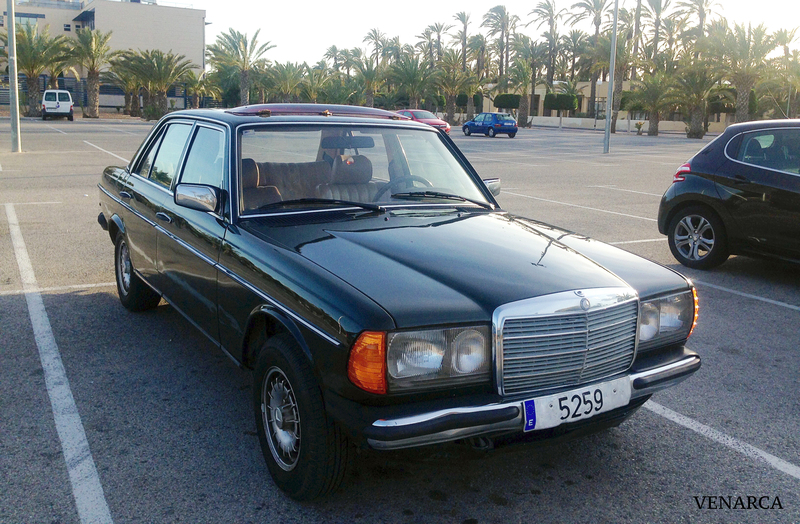 The Mercedes W123 series is still the most produced Mercedes-Benz model to date. It was built from 1975 to 1986, and set new standards in vehicle safety. Of the total of 2.7 million vehicles produced, many have survived the passage of time and have been handed over to subsequent generations. Under the hood you can find the engine OM 617.912. According to enthusiasts the most reliable engine in history. Initially it had 3000 cc divided in five cilinders which could produce 79 hp. In 1979 the engine was modified, the precombustion chamber was updated, the valves were build deeper and the cylinder volume was reduced to 2998 cc. The power and the torque increased up to 87 hp and 172 Nm. Note: The same engine was installed with turbo chargers on the third version of the infamous C111 instead of the previous Wankel engine. The turbo charged engine had 230 hp and broke nine diesel and gasoline speed records with a top speed of 322 Km/h in 1978 at the Nardò Ring located in the Italian province of Lecce. On september 1979, mercedes launched a new turbocharged variant of the 300D. 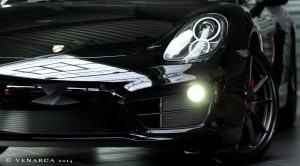 It was able to produce 125 hp and only available with automatic transmission. Not only the engine was ahead of its time. 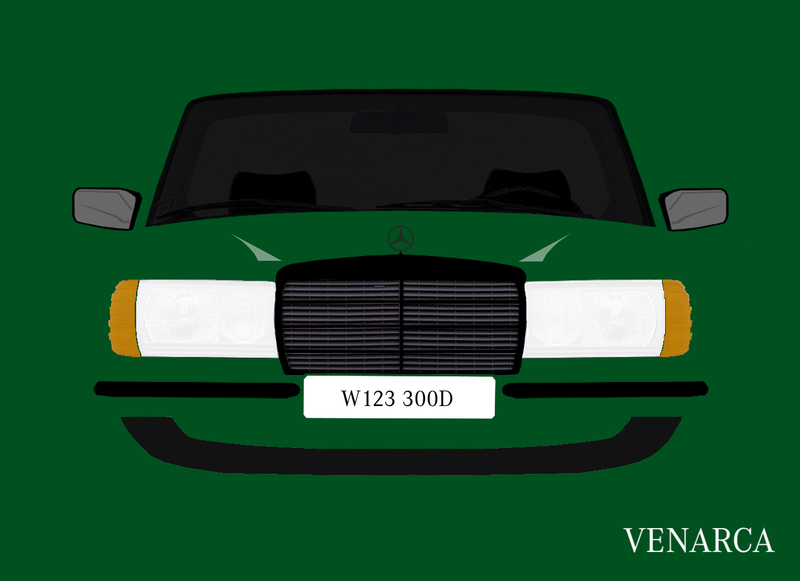 The W123 is also known for its security technology. As active technology, you could get the car with disk brakes on all wheels, ABS, hydraulic power steering, an advanced suspension composed by two coil springs, one torsion bar stabilizer and two double-acting hydraulic telescopic shock absorbers on each axle. As passive technology, the redesigned deformable carrocery, the security windscreen, the seatbelt and the airbag, made this car the second in history after the S-Class (W116) to offer all this security components. If I had to choose a word to describe the interior of this car, it would be “Quality”. Even 40 years later everything work like if we were talking about the mechanics of a Rolex. The air conditioner still freezes and burns the air, if you don’t want to use the cooler you can press a button and the windows will automatically roll down, the cruse control can make your feet useless, the radio will search your favorite radio program, and if its a sunny day you can let the sun come in while opening the electric sunroof. Let’s stop thinking about technical features. A normal car takes you from point A to point B. This car also does that, and it does it pretty well. But that’s not the reason why I’m deeply in love with it. The motive for my affection is the history this specific car has, which carries two souls. One that was implemented by Mercedes when it left the factory in 1984, and another one that was passed down to it by my grandfather in 2015. My emotions are driven by each kilometre the speedometer registers, each fuel tank that the engine drinks, and each time I press the brakes and the wheels stop. If you want a car than can make a current car envious, or you are looking for something able to face the passage of time like Morgan Freeman does, you can’t go wrong with a good old 300D.